Tertiary processes are used as a polishing step to remove BOD and TSS. Cloth media filtration and membranes are designed to provide solid-liquid separation, which removes TSS and the associated BOD. Aqua-Aerobic Systems tertiary treatment technologies include cloth media and membrane filtration. These technologies are designed to provide the lowest lifecycle cost by meeting the effluent quality while minimizing ongoing maintenance, chemical use, and power consumption. Aqua-Aerobic Systems cloth media filtration and membrane technologies are designed to handle a wide variety of solids loading and effluent requirements. 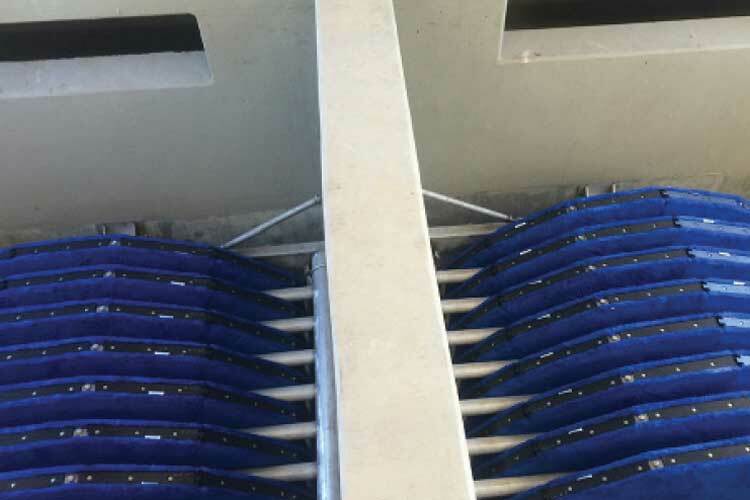 Five cloth filtration media options ensure that the optimal media is selected to provide the required effluent quality while minimizing backwash. Aqua-Aerobic Systems cloth media filtration technologies are being used to meet the most stringent reuse and phosphorus standards today. Aqua-Aerobic Systems membrane technologies feature a no-break warranty to minimize maintenance and ensure the best effluent quality. In December 2015, Talladega underwent an upgrade to its tertiary filtration method to comply with effluent total suspended solids (TSS) requirements.